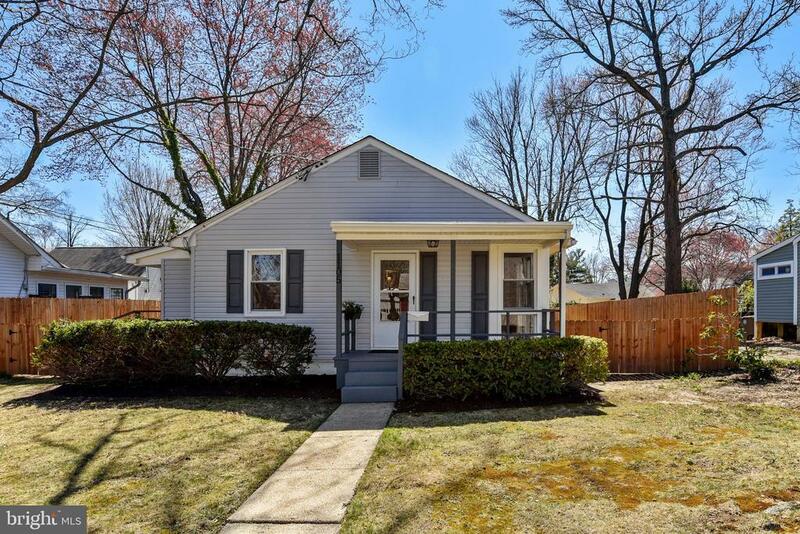 This updated rambler is ideal for those who want a central location at a great price near Rockville Town Center and Rock Creek Park. On a quiet side street, this home offers the convenience of one-level living. Enter the living room, with fresh paint and carpet and three large windows that let the afternoon light stream in. To your left is the kitchen, which provides access to the laundry room with washer/dryer hookups, and a side exit to the patio. Enjoy a spacious stretch of fully fenced yard with a barbecue grill at the back. Down the hall from the living room are two bedrooms on the left and a full bath and bedroom on the right. This is a great opportunity to live close to parks, restaurants, retail, and Rockville Metro Station.